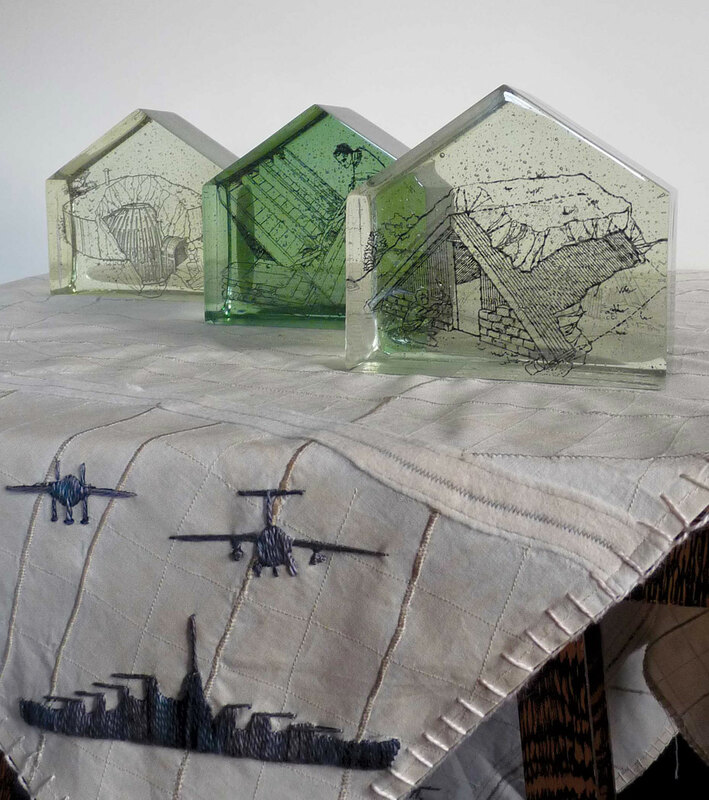 Julie Sittler, ’13 GD, is one of featured artists in the Glass Art Society’s juried International Student Online Exhibition 2013. All of pieces are original, professionally crafted and contain glass as the main element. Julie’s piece, Unclear (Nuclear) asks questions about the possibility of a nuclear attack: “Do we let the government guide us by having us build unrealistic shelters using sandbags and hand-cranked fans for protection? Why government’s previous solutions seemed more like game pieces than reality. Was this a sustainable solution for civilization or just silly ideas conceived around the table? Fortunately we never needed to find out, but how can we expect a viable solution for today with a new threat looming out there?” View the digital catalogue here.